still room is special place used for the preparation, distillation and storage of herbs, roots and flowers. It was in the still room that knowledge of these vital arts were passed from one generation to the next. 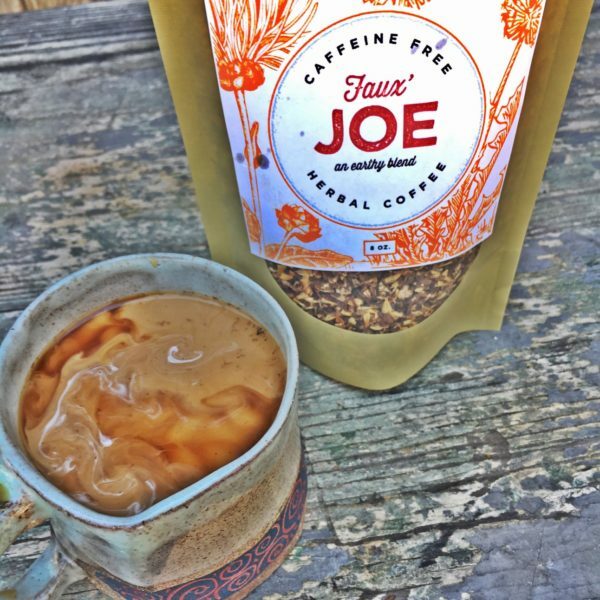 is a roasted grain, root and bark beverage & delicious, caffeine-free alternative to coffee! Not an instant, this granulated brew-able blend works well in a standard coffee maker, cappuccino machine or French press. Enjoy your Faux’ Joe straight up or serve with warm, frothy milk for a yummy “Faux’-cuccino!” Fantastic chilled and served with ice & Cream ! The possibilities are endless…Brew up a cup! Pour boiling water over Faux’ Joe and allow it to steep until cooled. Strain and then sweeten if desired. Chill and serve over cracked ice and serve with milk or cream. This makes a concentrated espresso-like beverage so a little bit goes a long way! For a cool twist, add a few peppermint tea bags to your steeping Faux’ Joe.